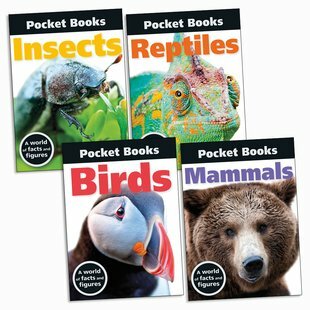 Top Trumps-style pocket guides you can easily slip into your expedition backpack. Cool profiles, colour photos and bite-size facts. These bright pocket books make the perfect package. They feel pleasantly chunky and are just the right fit for your hands. The fact files are quick and easy to look up, with a good level of detail on each animal. Plus, stunningly clear wildlife photography really marks them out. We especially love the handy cover flaps – great for keeping your place when you’re out in the field. Don’t go exploring without them.